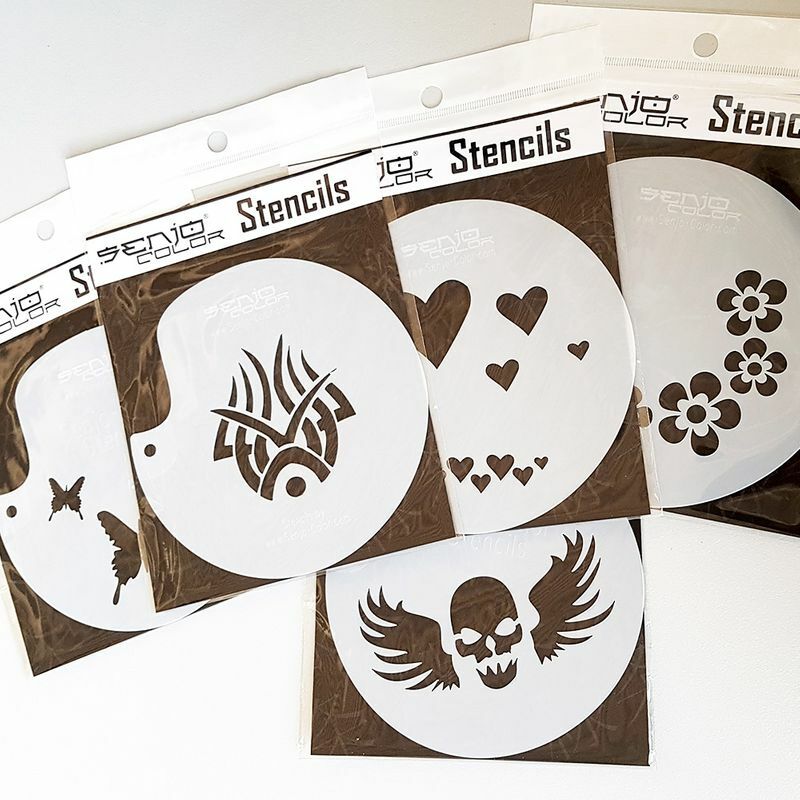 Paint Set for realisticTattoos with Airbrush/Brush, For up to 100 Tattoos. In a box. Application by brush and airbrush. Apply colors please thin, otherwise they have a sticky surface! 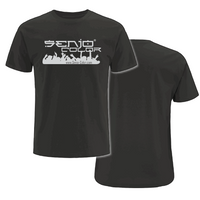 Please use the original Senjo Tattoo Powder. For other types of powder, it may happen that you are not sufficiently fix and the tattoo remains sticky. Powder please apply thick and leave for a few minutes. 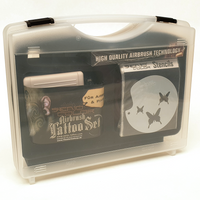 Tattoo seal can after tattoo sprayed thin, or are previously applied thinly to the skin, thus increasing the durability. 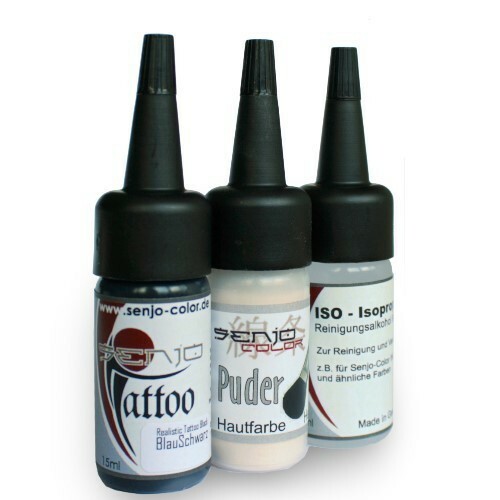 Product Rating Senjo-Color Tattoo INK Paintset 10pcs.